Apartment Rental Experts specializes in rentals along the Red Line in Cambridge & Somerville. In business for 10+ years, we have the largest apartment database in this area including many exclusive listings you can only find with us. We’re experienced agents, accustomed to the local market, and dedicated to helping you secure the right apartment. We look forward to working with you! millennials. Technology forward, streamlined processes help make your apartment search as quick and effective as possible. Check out our website or follow us on your favorite social media outlet for updated availability! Located near Harvard Square, for over 24 years, our professionally trained real estate associates, specialize in apartment rentals and residential sales, in Cambridge and Somerville. Single and multi-family homes, condominiums, townhouses and lofts are available for rent and for sale in Cambridge and surrounding communities - both furnished and unfurnished. Live in the heart of Cambridge in nice and friendly Harvard, MIT, Longwood and MGH scholarly and also family friendly environments at affordable prices and without realtor's fee! Finding off-campus housing can be an overwhelming process. We at Rise Realty strive to make sure the process is seamless for our clients. Our agents have over 15 years combined experience in helping Boston College students find off-campus housing. We understand this competitive market and with our knowledge and experience we ensure you we'll find exactly what you're looking for! Call us today and see why we are "Rising" over the competition. Located in the heart of Harvard Square, Patricia Mazza has been finding people great places to live since 1992. A “boutique” real estate service featuring quality rentals in Cambridge and nearby towns, Patricia Mazza Real Estate offers the Harvard community a 25% discount on full month broker fees. Referred by the Harvard Faculty Housing Office for the past 20 years, personal and detailed service is offered with many exclusive listings both furnished and unfurnished. Check www.patriciamazzarealestate.com for listing information. Weichert, Realtors - Channing Real Estate is an independent and locally owned real estate firm that has been serving Cambridge, Boston, Somerville, Belmont, Watertown, Arlington and the Greater Boston community for more than a quarter of a century. Grounded in Harvard Square, this very successful and established firm specializes in residential real estate sales, buyer representation, rental services, and property management. As an independent agency we bring a personal touch to every transaction and, through our affiliation with Weichert Realtors, offer a breadth of services that only one of the largest real estate companies in the country can provide. The excellence of our agents complements the homes that we list, the apartments we rent, and the buyer services that we offer. 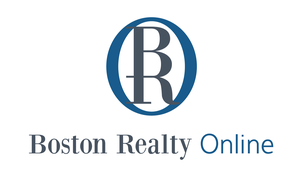 Boston Realty Online offers thousands of premiere apartment listings in Mission Hill, Fenway, Symphony, South End, Allston, Brighton and Brookline areas of Boston. We work with the best property owners in town and take pride in our long-term relationships and sophisticated knowledge of the marketplace.. APARTMENT RENTALS + SALES. We feature a large selection of apartments & condominiums in the Harvard, Harvard Medical School, Harvard School of Dental Medicine, MIT, Tufts, Tufts Medical School, School of the Museum of Fine Arts at Tufts and the Cambridge areas. We also cover Fenway, Allston, Brighton, and Back Bay. Check out our website for pictures and listings. Gibson Sotheby's International Realty provides the highest quality urban residential and commercial real estate services. Our name builds on a reputation for knowledgeable, reliable and personable real estate leadership in Boston for more than 44 years. We build upon our long-established foundation of excellence and integrity in order to best anticipate – and exceed – changing expectations in the real estate market. In positioning our company for the future, we ensure our ability to help our customers and clients achieve their objectives in selling and buying property. We judge our success by the respect and trust that we earn through our dealings with our clients and our colleagues within the real estate industry, and by our commitment to the community – right where we live. APARTMENT RENTALS. We feature a large selection of apartments & condominiums in the Boston College and Cleveland Circle areas, Commonwealth Avenue and on the BC shuttle loop. We also cover Brighton, Allston and Fenway. Check out our website for pictures and listings.